What are the benefits of hiring Local Nashville Movers? Right now millions of people are moving. There’s no end to the amount of moves going on at any given moment. Whether it’s a large family getting into a new house, or it’s a couple going to their new apartment, there’s a lot of different scenarios that requires going forward with moving. If you or someone you know is looking to relocate, and you’re not sure how you’re going to get it done, you may want to look into hiring local movers. Whether you’re in the Nashville, Tn. area or you’re somewhere else, you can find that there’s benefits that come from going local when it’s time to hire someone to help you streamline this process. Talk to anyone that has ever moved a buddy or themselves and they’ll tell you one thing, it’s arduous. Whether you have a grand piano or you have a lot of boxes, there’s a manual labor to this that will no doubt be difficult to manage. You may be strong, you may have friends, but at the end of the day, you’ll find that this is not an easy task. When you hire movers, however, you will find that they have all the tools, and manpower to get your home relocated within a short span of time. It’s more than just a numbers game, as experience helps in this regard as well. 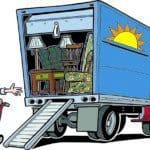 One of the more painstaking issues that you may have when looking at moving, is simply packing. When you look into moving companies in Nashville, or anywhere for that matter, always look for packing services. When you find yourself needing to pack up your stuff and make sure that they are safe, you will find that a professional grade solution trumps trying to fit everything into a game of “Tetris”. Not only that, you will find that if you have a professional grade solution, you will have clear labels on boxes, and you will know where everything is. No more guessing, no wondering if everything made it, everything will be inventoried, checked, moved, and sorted in proper order. 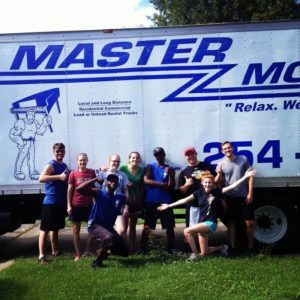 For those that aren’t quite ready to hire a full team, you may want to look into hiring a local moving company to help you with loading. Loading a rental truck or any vehicle can difficult to say the least. 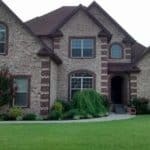 When you hire experienced professional movers, however, you’ll find that the muscle that you get will help you get on your way without worry. Whether you need help organized a truck, or simply picking up boxes, furniture, and more, you’ll find that this additional help will definitely be a good solution. At the end of the day, go local, and find why it’s better to have a friend in the moving industry, than it is to dial a call center that’s far away dispatching impersonal help. There’s a better way to move, and that comes with local professionals. Test the waters, and see why so many will agree that a local company is best when getting into a new home.